If you are an independent crafter and you are interested in selling handcrafted items using A Little Hut SVG files and digital stamps you will need to purchase this limited commercial license. Before ordering this license, you MUST read our Limited Commercial License Agreement. Purchasing this license indicates that you have read and agreed to the terms listed on our Licensing page. 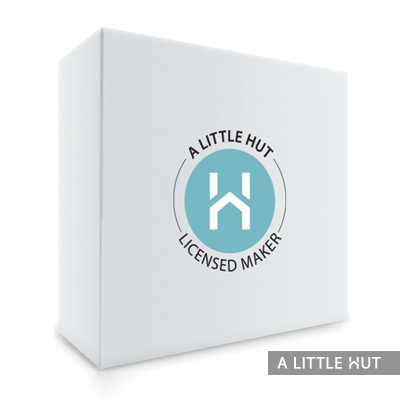 If you are an independent crafter and you are interested in selling handcrafted items using A Little Hut SVG files and digital stamps you will need to purchase this limited commercial license. Before ordering this license, you MUST read our Limited Commercial License Agreement. Purchasing this license indicates that you have read and agreed to the terms listed on our Licensing page. If you still have any questions after reading the licensing agreement, please contact us before you order the license. If you are creating projects that are for your own personal use and will NOT be selling them you do not need to purchase this license. Read our Terms & Conditions page to understand what you can and cannot do with A Little Hut files.